Denmark's capital city Copenhagen is famous for its happy residents, brightly coloured buildings and canals, and just like everywhere else in Scandinavia - it's also known for its high prices. 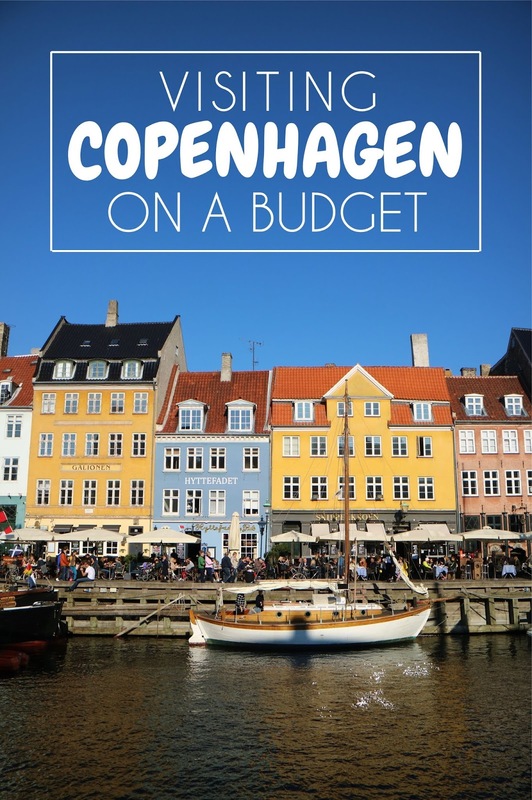 With airlines such as Norwegian Air and Easyjet offering cheap flights that take around 1 hr 30 minutes from the UK, I wanted to see if Copenhagen could be visited on a budget. Everyone's travel styles vary, but I set myself the challenge to see if I could visit Copenhagen using my regular weekend city break budget. My conclusion: Copenhagen can be visited on a budget! Denmark isn't as expensive as other Scandinavian countries such as Norway, and it's definitely possible to visit and explore without spending a small fortune. The Copenhagen card allows you free admission into over 80 attractions and museums, as well as unlimited use of all buses, metro and trains in the city region. It even covers transport to and from the airport. The card is available as a 24, 48, 72, or 120 hour card. I purchased the 72 hour card for 93 Euro as I was visiting the city for 3 days / 2 nights. This might sound a little pricey, but it definitely saves money compared to buying travel passes and entrance tickets individually. Every site or attraction I visited was included in the card, and so I didn't have to spend any extra money (besides for food) during my trip. You can buy the card in advance and redeem it at one of four locations in Copenhagen, including at the airport so you can begin using it straight away. 1. Nyhavn - The most photographed street in Copenhagen! Nyhavn is the street with all of the brightly coloured buildings alongside the canal. 2. Canal boat tour - Starting in Nyhavn, get out on the water and join a canal tour by boat. 3. Reffen food market - Copenhagen certainly knows how to do street food. From African food, to traditional Danish food - there's something for everyone. 4. Kastellet - Kastellet is an island in the shape of a pentagon, that's today home to various military buildings, a church, and a windmill. It's also a public park that visitors are free to explore. 5. The little mermaid statue - A must-do on your Copenhagen list, even if the statue is small and slightly underwhelming! 6. The round tower - The round tower is unique as it has a spiral ramp most of the way to the top rather than steps. It was built this way in the 17th century to allow access to horses. 7. Tivoli gardens - An amusement park in the centre of Copenhagen. 8. Rosenborg Castle - A beautiful castle that's home to the Crown Jewels. 9. Amalienborg Palace Square - Four identical palaces make up Amalienborg Palace Square, with a statue in the centre. Be sure to visit at 12pm if you want to catch the changing of the guards. 10. City Hall Tower - At over 105 metres tall, the city hall is one of the tallest buildings in Copenhagen. 11. Church of our Saviour Tower - One of Copenhagen's most famous churches due to its external gold staircase that can be used to climb to the top. It's definitely not for people afraid of heights! 12. Christiansborg Palace - A palace and government building. It's also got the highest tower in Copenhagen that's completely free to visit (even without the Copenhagen Card). For a budget but modern hostel I highly recommend the Steel House Copenhagen Hostel. A bed in a dorm starts at around £15 per night, and the rooms have everything you need. Towels and bedding are provided, and the rooms are frequently cleaned. There's a kitchen, gym, and even a pool within the hostel, which can all be used for a small extra charge. Grab Danish pastries from a supermarket or bakery for a cheap and easy breakfast. There are street food vendors everywhere with plenty of outdoor seating. Head to the Reffen food market for more choice than you could ever imagine. Going outside of the city? If you have extra time in Denmark, hop on the train and visit Frederiksborg Castle and Kronborg Castle. Both can be visited within a day trip from Copenhagen.